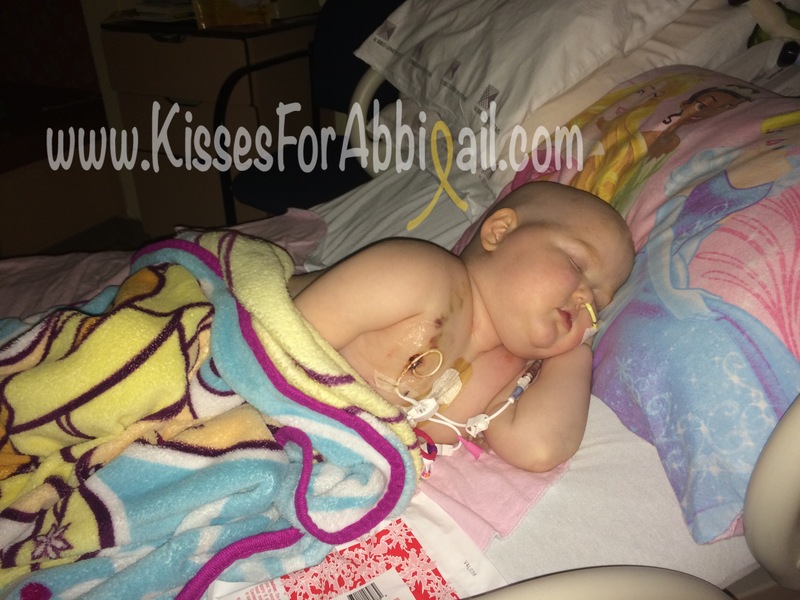 The last couple weeks since the discovery of this virus, which invaded our little girl’s body, have been physically and emotionally draining for Abbigail, myself and our family. There have been so many ups and downs, highs and lows and far too much uncertainty. 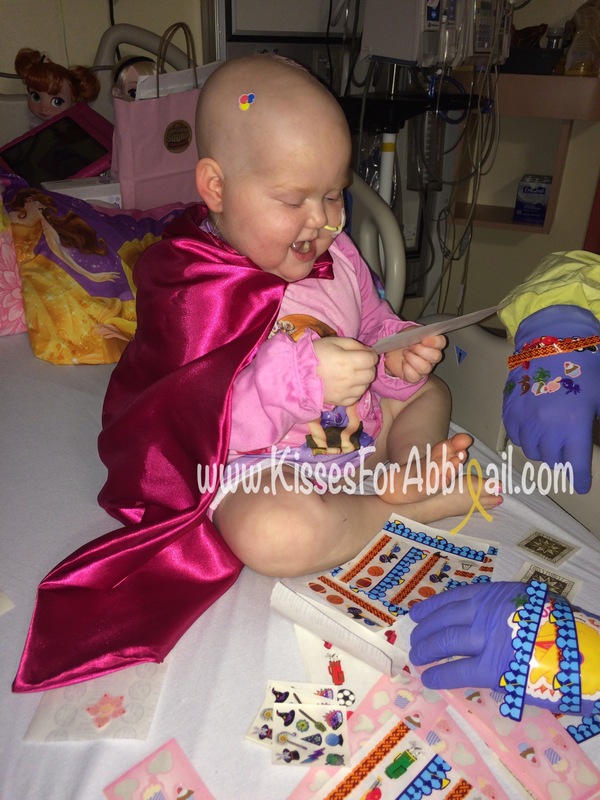 Abbigail began to show signs of improvement come Monday, she was feeling more energetic and less irritable. She had longer periods of “play” and was able to tolerate increased tube feeds. That progress was swiftly stolen as she had to undergo an other surgery to replace her central line that had caused her so much torture, pain and frustration the week prior. She went into surgery breaking my heart with her fearful and terrorized cries, and she came out with a new but equally frustrating line, more bruises than I have ever seen, a large hematoma on her neck and shoulder and a few more scars added to her battered body. Progressively throughout the week I watched her wakeful moments get shorter and further apart, I anxiously tracked her lowering blood counts and I feared we may be facing a bigger monster than “they” believe. I knew this virus and the treatment to help tame the virus could potentially affect her counts however the doctors were confident that because she ENGRAFTED this week, that it wouldn’t affect her too much. That does not seem to be the case and I am sad to report that her engraftment was not hugely celebrated, as it should have been. Once a transplant patient engrafts (begins to produce their own cells), they usually begin to heal, their ailments quickly improve and they are slowly weaned off the medications and sent home shortly there after. 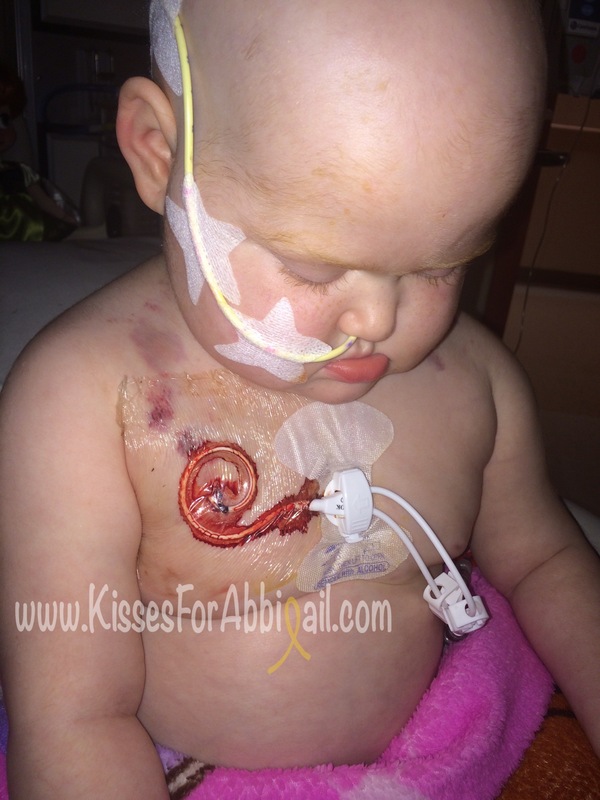 We knew this wouldn’t be the case for Abbigail since she is up against this virus, with a post-transplant immune system. Although we have successfully weaned her off of the IV nutrition and the “drip infusion” of hydromorph, she is still on an uphill battle. She has not “eaten” by mouth in weeks and has not taken even a sip of fluids by mouth either. She continues to show frightening signs of viral infection and we haven’t seen a decline in her viral load to date. I am happy to say that it isn’t all bad; Abbigail still sits up and paints my if toe nail some mornings, she still fights the nurses on vitals and she always smiles when the clown pops in her room. She was at one point last week, laughing, playing and joking around like there was nothing wrong…this was hugely celebrated and noticed by all! She appeared so well “clinically” that her team felt she was ready to be transferred to our home hospital! There was talk that we would aim to have everything in place for a transfer this Tuesday. The thought of taking Abbigail out of this protective “bubble” and into the world outside these unit doors has me in knots. The fear of what I know is possible is sometimes paralyzing but I can not let that fear interfere with Abbigail’s healing or recovery. Going closer to home, to a hospital she has grown up in, with her friends and familiar faces would bring a type of healing we can’t find here. So I quickly set my fears aside and celebrated this milestone the way it should be celebrated! 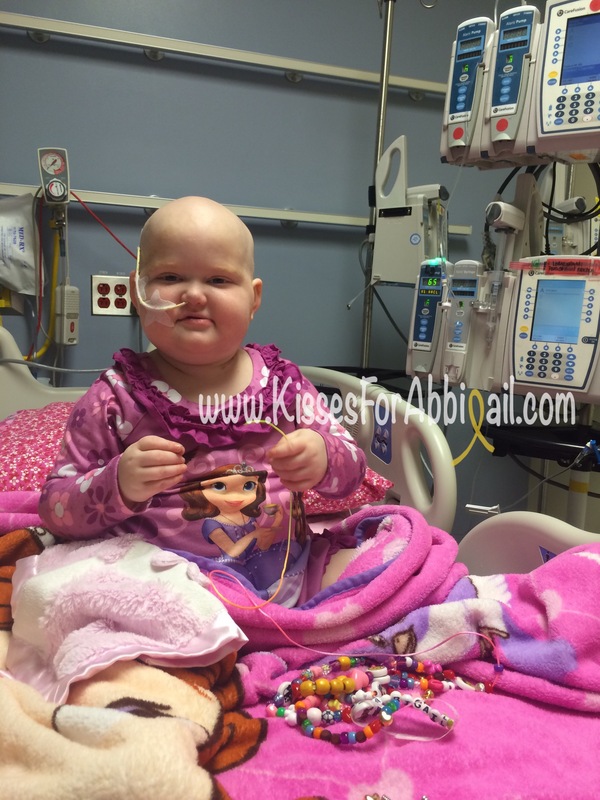 Abbigail has been talking about seeing her Daddy, Molly Penny (home hospital clown), Pam and Jen and all her warrior friends. She was so happy when I told her what would be happening soon. Unfortunately, over the last 48-72 hours, I feel we have gone backwards again. We are back to her sleeping all the time, aches and pains, higher heart rates, creeping temperatures and highly noticeable OMS symptoms…which all lead me to fear possible secondary infections or the virus spreading further and faster. We are still holding on to hope that we can keep her stable enough to travel to CHEO next week, but reality is that we are constantly at the mercy of illness, OMS and the world of cancer.